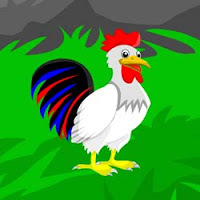 Capon Escape is the escape game, new point and click escape game, free escape games from Ajazgames, Capon was caught in bamboo basket while searching for food in outside the house. You must find the stick to open the basket, solve the puzzles and find clues to escape capon. All the best, wish you good luck, have fun playing free online escape games from ajazgames.